Is this the first game you have made? What was the first game you developed? What languages ​​/ programs do you use? Dicrex - Designer levels, interfaces, characters and so on. Are you still working on your game and if so what future plans do you have for it? What advice would you give to aspiring game developers? If someone wanted to make a game like this, what would they need to learn? I cannot answer this question yet, because I have not yet decided it myself, we are now busy improving the existing game and it's hard to say what we will do in the future. Is this your full time job or a side gig? Yes, this is our regular job. What did you encounter while developing this game? There were no problems, making io games is easy! What did you learn about game design from developing Crazynite.io? We realized that you should not write complex games from the very beginning, it would be much more correct to make a simple game and see how the community will react to it, make edits of your plan and make another game, and so on, when you get a product close to the ideal. Do you have any other games you’re working on? Where do you see IO games in 5 years? What is your favorite IO game, besides your own? 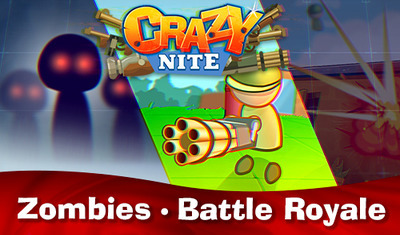 Check out Crazynite.io a brand new game from K&S Games. Looking forward to hearing more from them. They have a Discord channel here and their site is here.